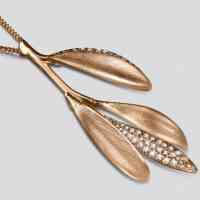 A stunning olive branch necklace to wear close to your heart. This intricate piece with an additional side pavé element will make a statement piece to wear for special occasions! 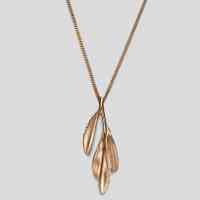 But we were so sure that this necklace would become a favourite we have channelled our inner victorian and made it modular and customisable. Feel like wearing a simpler piece? Detach the pavé leaf and wear like that or add the fully pavé element to keep the volume but have a more stripped down version!